It is the goal of the CLEARS organization to develop its maximum potential and to be a complete resource for its members. The CLEARS Strategic Plan is intended as a catalyst to encourage planning and development by each Executive Board. The time frame is not absolute; it allows flexibility for future boards to adapt the stated goals to the current needs of the organization. With this strategic plan, as CLEARS moves forward with this focus, we will constantly measure our progress and evaluate outcomes to ensure we are meeting our goals. 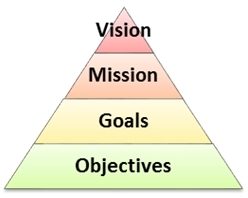 The objectives for each goal are broad statements drawn from the needs and desires expressed by the membership. This allows for the creativity and imagination of the organization in accomplishing the goal. Each and every objective fulfilled is an important step toward the stated goal. It is intended that each new board assess the status of the plan, amend if appropriate and throughout its terms, report on its contribution toward fulfillment. The assessment will be conducted by the last quarter of each year and any recommended changes will be assessed and then adopted by the first meeting of the following year. Expand the breadth of training to address the needs of the entire membership, from entry level through management, and include topics specifically related to records management, technology, and career development. Increase membership at the chapter level to include all Criminal Justice agencies and retain members of long standing. Encourage participation by becoming a valued resource. Promote utilization and maintenance of the CLEARS Message Board as an educational resource for all members. Maintain a high level of public recognition and awareness of CLEARS, its members, and the goals and objectives of the organization.